An overnight inferno sent Brazil’s oldest science museum up in smoke earlier this month, causing irreparable damages to some of the world’s most valuable scientific treasures. Museum officials at Rio de Janeiro’s Museu Nacional, or National Museum, reckon that just 10% of its precious collection survived the devastating blaze on September 02. The Museu Nacional housed rarities like the skeleton of Maxakalisaurus, an herbivorous dinosaur that roamed the backlands 80 million-years-ago, and the 11,000-year-old skull of Luzia, the earliest known Brazilian. According to the Museums Journal, some of museum’s biggest losses include its entire entomological collection of five million specimens, its entire arachnological and much of its mollusc collections. Details of the catastrophic loss are still emerging. People around the world have been lamenting the devastating blaze. While grieving the cultural loss, there are also lessons to be learned from the catastrophe, according to Sheila Coppinger, assistant vice president, senior specialist, Chubb North America. “Museums are stewards of the world’s culture. 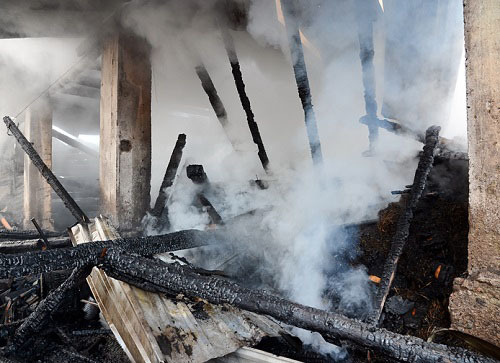 In this capacity, they require a sophisticated risk management plan that balances the need to preserve their buildings and collections with traditional risk transfer tools,” Coppinger told Insurance Business. “This fire highlights the importance of conducting a comprehensive risk assessment of the building to identify potential hazards, and then developing a strategic plan to mitigate or eliminate the hazards. Fire is quite a common peril in museums, particularly common during renovation, according to Coppinger. Many museums are located in old buildings (the Museu Nacional palace was over 200-years-old) or are in buildings of wood construction which do not have adequate fire suppression systems, which means fires can be disastrous if they occur, she explained. To help cultural institutions’ clients manage their fire exposure, Chubb offers a hot work permit program, which means a permit must be displayed at the work site of any non-production or maintenance operation involving cutting, welding, grinding, open flames or producing heat and/or sparks that is not completed in a permanently designated hot work area. In addition, Chubb’s risk engineers around the world help museum clients conduct risk assessments and develop mitigation plans against damage from fire and flood. They can also assist with development of programs for contractor management, self-inspection, and fire suppression and detection system testing.